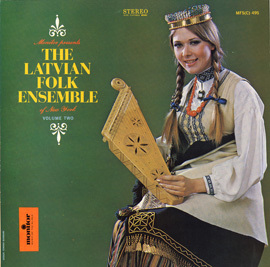 This 1990 album features traditional and modern Latvian songs performed by Dzintars, Latvia's leading female choir. Consisting of 67 voices, two conductors, one piano, and one organ, Dzintars was founded in 1947. Dzintars: Songs of Amber was their first and only U.S. release. “Dzintar” is the Latvian word for amber, a symbol of Latvian national identity representing beauty, openness and freedom. "The music is high, it's crystalline, and it makes me smile," said Mickey Hart, who co-produced the album with Jerry Garcia. 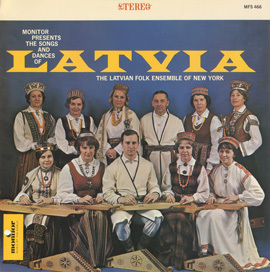 In addition to Latvian selections, the album includes one Russian and three Yiddish folk song settings. 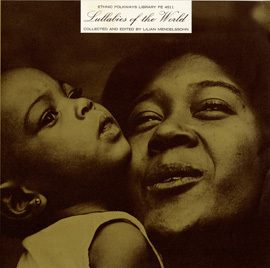 Dzintars: Songs of Amber was originally released as part of “THE WORLD” series (now part of the Mickey Hart Collection made available by Smithsonian Folkways).